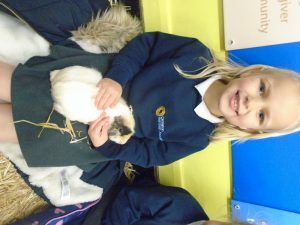 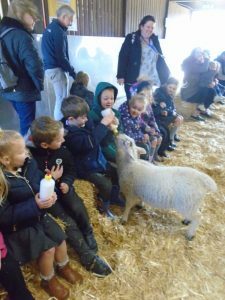 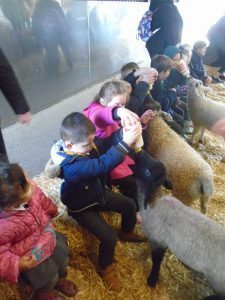 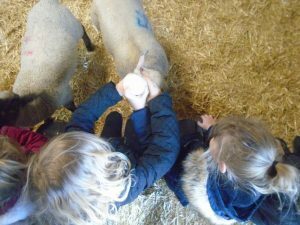 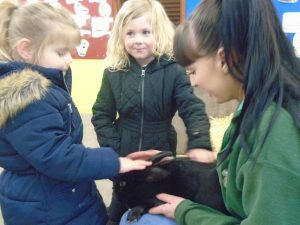 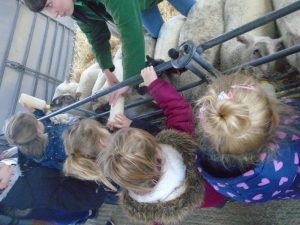 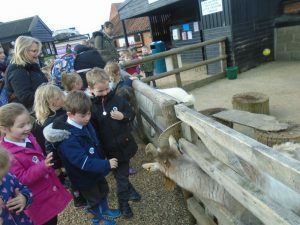 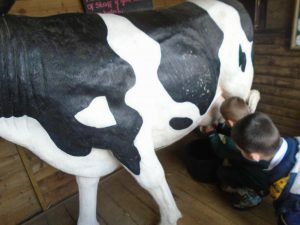 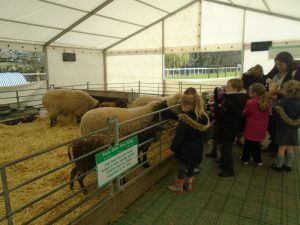 On 25th March 2019, the two Reception classes from Ormiston Herman Academy went on a coach to Wroxham Barns! 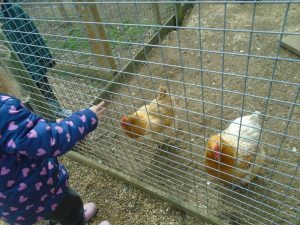 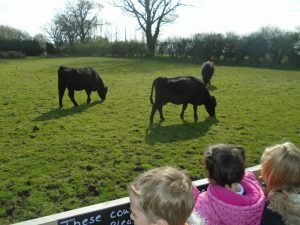 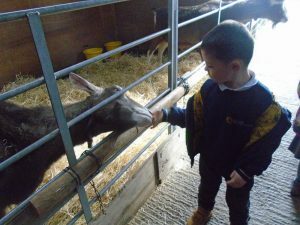 We explored the junior farm where we saw chickens, turkeys, cows, goats, sheep, lambs, donkeys, ponies and pigs. 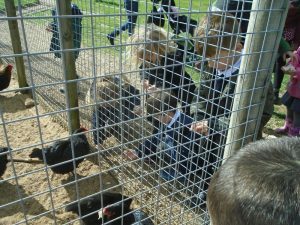 We had animal food so we could feed the goats and the chickens. 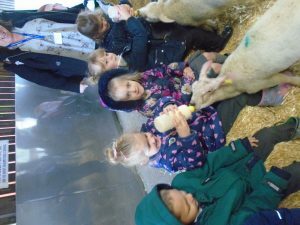 We then went to the barn where we all got to feed the lambs milk from a bottle. 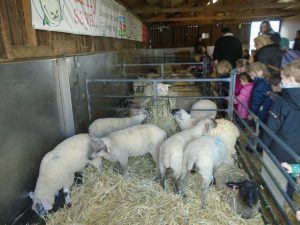 The lambs were so happy being fed that they wriggled their tails! 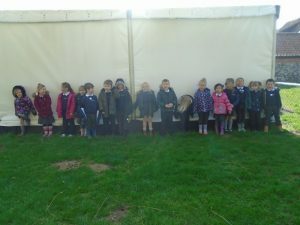 After that we all met and had a lunch together like a big picnic! 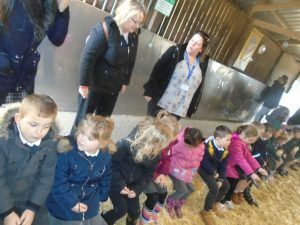 After lunch we went to the piggery to learn about the pigs and watch them have their lunch. 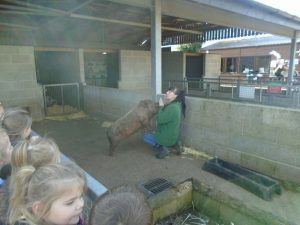 ‘Toffee’ the pig was very clever as she has learnt to do some tricks! 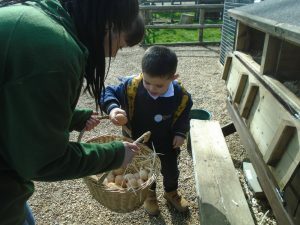 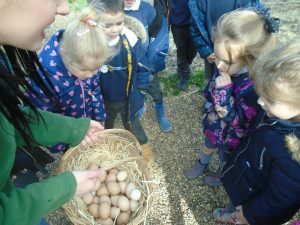 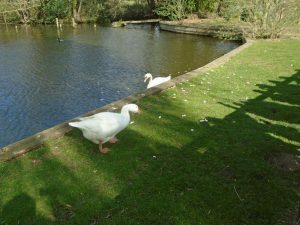 We fed the ducks and swans at the pond and then we went to the hen house where we collected the hen’s eggs into a basket! 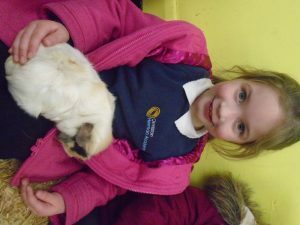 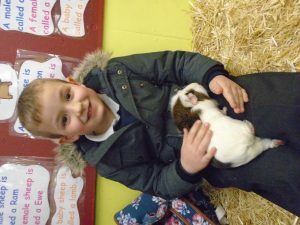 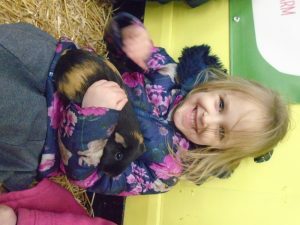 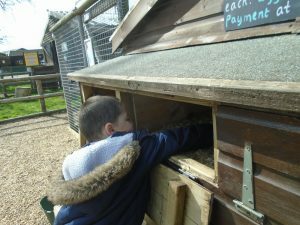 We then went to the smaller barn where we got to have a cuddle with the guinea pigs and stroke the rabbit. 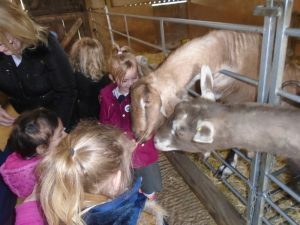 The day was extremely enjoyable for all, and offered an excellent learning experience for the children.